Elvis Spectacular Show - Ciaran Houlihan complete with the full live TCB band and backed by the wonderful harmonies of The Sweet Sensations, one of Europe’s greatest tributes to the king of Rock and Roll takes you from the early Sun years, through to the Comeback Special and the final days of Vegas. Created by fans for fans, CC. 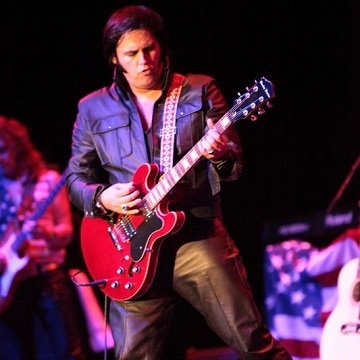 Houlihan’s tribute is an accurate representation of the King’s greatest hits, filled with all the electric energy, emotion and showmanship that symbolise the greatest rock-and-roll artist of all time. Winner of a slew of Elvis impersonator awards, including Best Gospel Elvis and the Elvis 4 Nations competition, and the European Elvis Championships, CC’s costumes are designed by the legend’s own designers, just one example of the lengths to which he’ll go to recreate and entertain.